5 ταξιδιώτες κοιτάζουν τώρα αυτό το κατάλυμα | 4 ταξιδιώτες έκαναν κράτηση σήμερα. 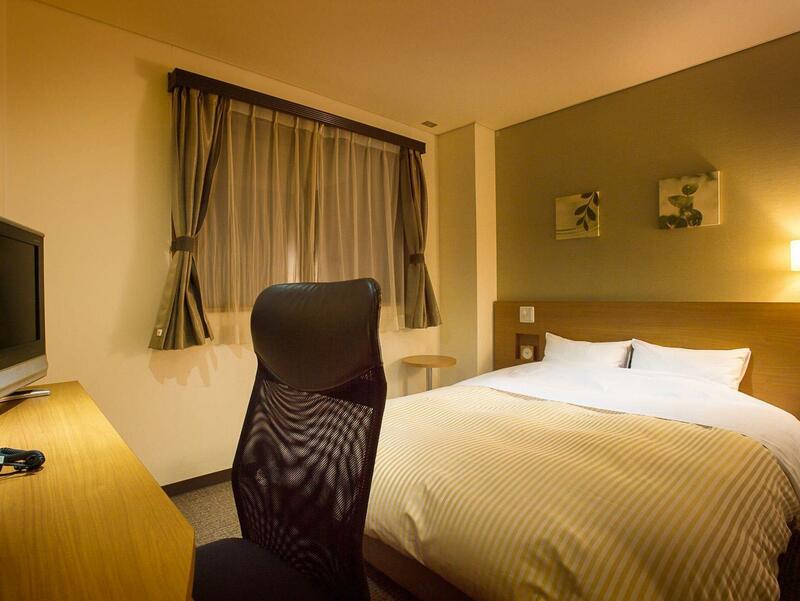 Ανακαινισμένο το , το Hotel Fuji Tatsugaoka εγγυάται στους πελάτες του μια ευχάριστη διαμονή είτε βρίσκονται στη Μάουντ Φούτζι για δουλειά ή διασκέδαση. Σε απόσταση μόλις από το κέντρο της πόλης και από το αεροδρόμιο, αυτό το 3 αστέρων ξενοδοχείο προσελκύει αρκετούς ταξιδιώτες κάθε χρόνο. Με την βολική του τοποθεσία, το ξενοδοχείο προσφέρει εύκολη πρόσβαση στους προορισμούς της πόλης που πρέπει οπωσδήποτε να δείτε. 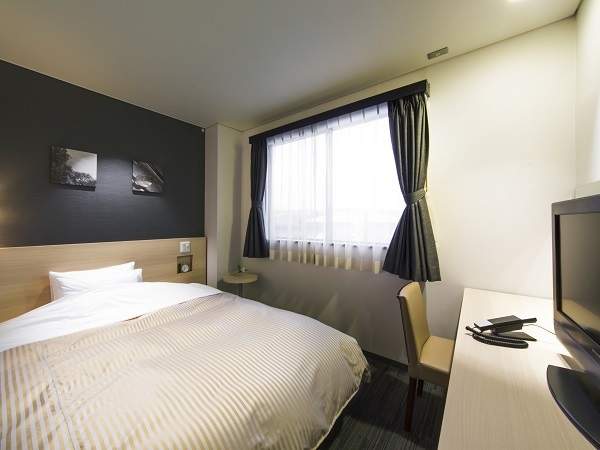 Στο Hotel Fuji Tatsugaoka, η άψογη εξυπηρέτηση και οι ανώτερες εγκαταστάσεις συντελούν ώστε η διαμονή εκεί να σας μείνει αξέχαστη. Το ξενοδοχείο σας παρέχει ημερήσιος καθαρισμός, δωρεάν WiFi σε όλα τα δωμάτια, 24ωρη φύλαξη, φύλαξη αποσκευών, χώρος στάθμευσης οχημάτων. για να εξασφαλίσει ότι οι πελάτες μας θα απολαύσουν την μεγαλύτερη δυνατή άνεση. Τα δωμάτια του ξενοδοχείου έχουν διαμορφωθεί προσεκτικά ώστε να παρέχουν υψηλό επίπεδο άνεσης και την ευκολίας. Σε κάποια από τα δωμάτια, οι επισκέπτες μπορούν να βρουν κρεμάστρα ρούχων, καθρέφτης, παντόφλες, πετσέτες, ασύρματη σύνδεση internet (δωρεάν). Εξάλλου, το ξενοδοχείο διοργανώνει πολλά ψυχαγωγικά δρώμενα έτσι ώστε να έχετε πολλά πράγματα να κάνετε κατά τη διαμονή σας. Όποιος κι αν είναι ο σκοπός της επίσκεψης σας, το Hotel Fuji Tatsugaoka είναι μια εξαιρετική επιλογή για την διαμονή σας στη Μάουντ Φούτζι. The front desk explain very clear all the facilitis provided by the hotel. The hotspring is great. Near to a hypermarket (just need at about 5 mins walk). We come here by a rental car. The hotel location which is a wallking distance to station is not a problem to me. The location is kind of out if the way if you are not coming by train. You need to take a shuttle bus at Highland bus stop to Highland station and walk about 10ish minutes to the hotel. Nothing much in the neighbour but there is a very tasty bakery on the way to the hotel. Staff is nice and helped me to arrange for T-Q-Bin service with a translator, not much English. Breakfast is decent. 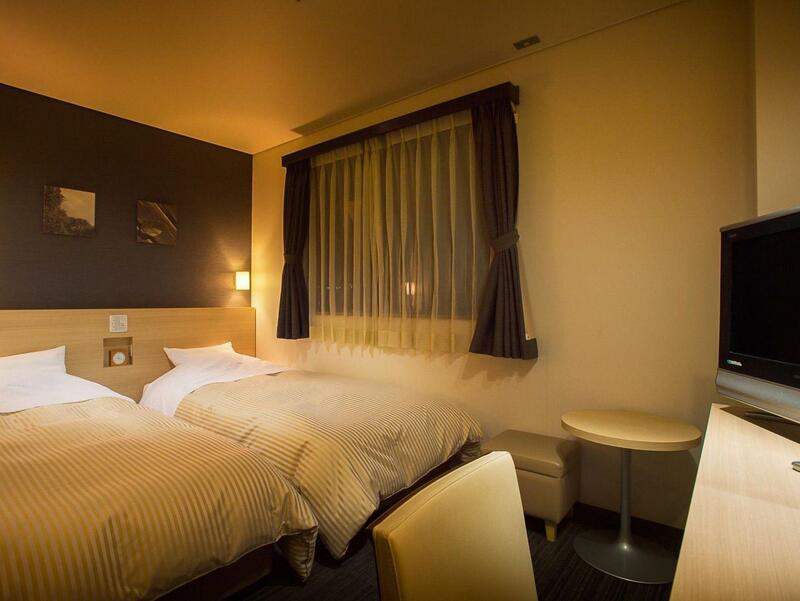 This is value choice which offers great onsen experience. The onsen is not too big but well-decorated and maintained. Location is far from main Kawaguchiko bus/train station, and you would not want to walk back and forth everyday. You can ask hotel staff to call a taxi for you and it costs you around 1,000 yen to Kawaguchiko station. We had very little expectations as we only chose this hotel for its proximity to Fuji-q highland theme park. Location wise it was a great choice as we expected, but much to our satisfaction it was amazing in all other aspects as well - great breakfast, spacious room, very clean and new hotel, and the best onsen we had so far - we didn't even know it had an onsen when we booked it:) only downside is that the staff knows zero English, but that's the case in almost every hotel we stayed in Japan so far. Wonderful experience in Kawaguchiko. Staff were also very helpful. The onsen experience is also great. Lastly, the yakiniku restaurant just beside the hotel is a great place to dine after exploring the area. Big room, well decorated, modern and clean. Although we don't love coffee, a nice feature for mostly everyone is the Nespresso available in the room! The hot spring is amazing, my favorite out of the 3 I tried. 25 minutes walk to the Arakura Fuji Sengen shrine. 20 minutes walk to Fuji-Q Highland. The room is very clean. The breakfast is good. Small hotel but comfortable and quiet with low density. From the hotel room, can see the Mt. Fuji clearly. Great view! Nice hotspring. 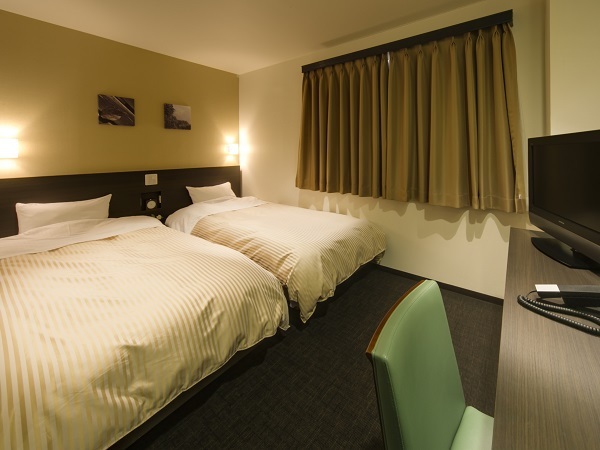 If shuttle bus is provided , it will be perfect as the hotel is a bit far from the station. This hotel is very special!!!! I recommend it to everyone!!! The hotel isn’t big or luxury, but all the facilities are great and clean. 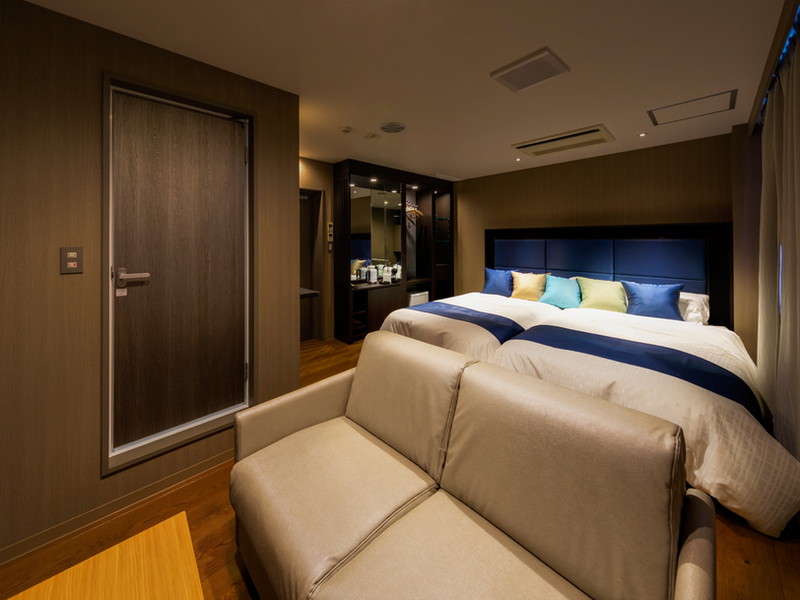 The room is big, there is a common area at every floor (3 storeys in total) with vending machine, microwave, water machine, ice maker and a massage chair. The hotel will give u 2 keys (real key so remeber to lock ur door), 1 key is for ur room another one is for the hotel gate, the hotel will lock its gate at around 11pm till morning so customers have to use the key to go in and out of the hotel before dawn. The hot spring bath is a great surprise, it’s comfortable, outdoor with shelter at some area, u can see the sky clearly. The breakfast are in set and with 2 style only Japanese and western, the quality and quantity are high. The staffs can’t speaks much English but this doesn’t really matters as they are helpful and nice. The train station is around 10mins walk, there is a big supermarket and conscience store in 5 mins walk. Nice hotel.. the breakfast is very good. It is a little out of the way though. If you are not driving, need to walk about 10-15 mins from the train station and bus stop. Nearest convenience stall and supermarket is about 5-10 mins walk away. Little food options nearby. It is good value for money. Comes with free breakfast: choice of Japanese and English. Staffs are very friendly and they allow you to store your luggage for a day. There is a small area for you to have your meals and drink on the 1st floor. Try out the small onsen, it's a great experience. They also provide free simple yukata for nightwear. Pros : Friendly staff to let us drop luggage way earlier before check in. Able to communicate in basic english. Room and the toilet was clean. Onsen was great, big size onsen pool with suitable temperature. Key locker provided in onsen area. Breakfast was tasty. 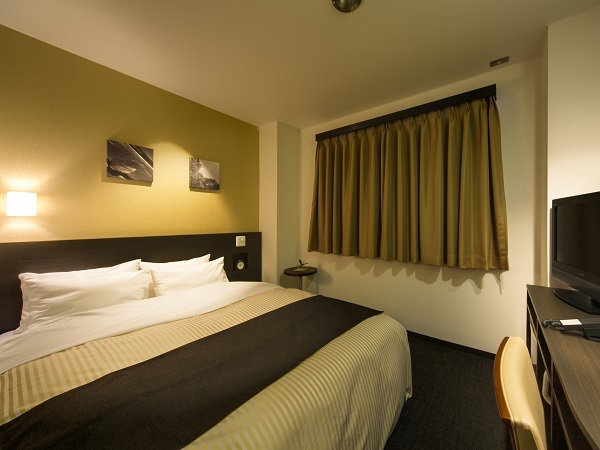 Overall it is a worth the price hotel. Cons : Room is slightly small for two big luggage. But still manage to open both at same time. Distance from station was around 1km+. Fortunately, the road to hotel was flat enough to move the luggage hassle free. Cute little hotel. 10 min walk to station, very helpful staff. 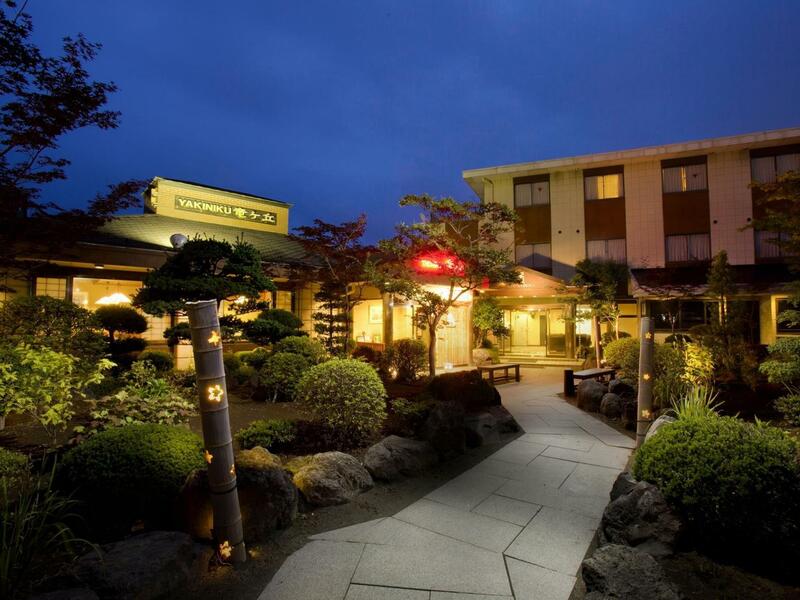 5 min walk to large supermarket and in house decent restaurant and very good onsen. The hotel is excellent, not far from the Fuji Q theme park. 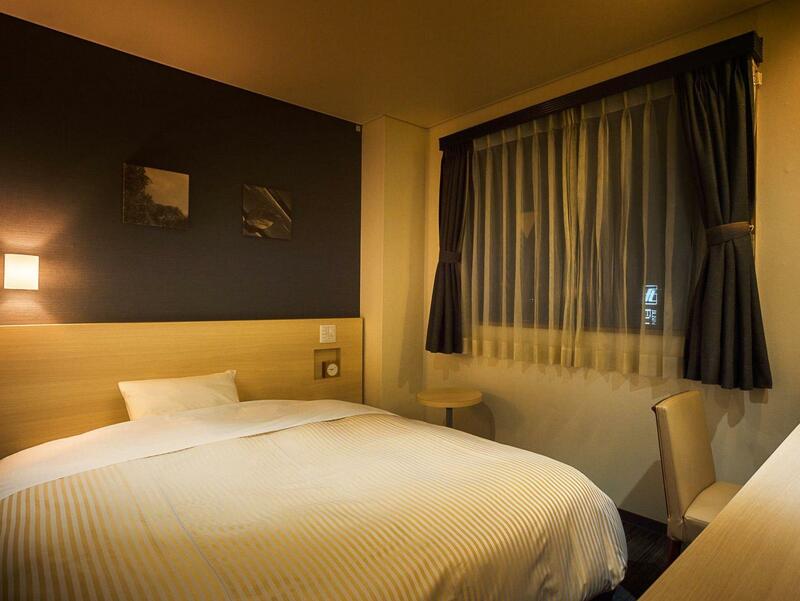 The facilities in this hotel were amazing and the view from the balcony is a great view of Mount Fuji (provided your room is facing the front of the hotel) . The staff are very polite and helpful.